2019 will be the year publishers realize that, in their intense focus on product development, they have neglected the news people who have contributed most to the transformation of their businesses. As founding editor of NewsMavens — Europe’s women-centric current affairs news magazine — I’ve watched the news industry in my part of the world undergo an incredible evolution in the last several years. Between the challenge of digital, changing reader habits, and often intense pushback from populist politicians, the raised stakes for rapidly transforming classic legacy newsrooms into future-friendly companies have yielded amazing results. The pace and patterns of this race for survival, freedom, and relevance has shown that we are a quick study and a grimly determined industry, ready to make the necessary sacrifices. If we continue this way, then the next outdated hindrance to our sustainable future to be thrown into the volcano is old-school, big-man, charismatic, ego-driven leadership. We’ve already taken the necessary first steps. In the past two years, many organizations have tackled newsrooms diversity issues in innovative and meaningful ways. In response to an open letter to end misogyny in the news industry, for example, the European Journalism Center implemented a full equality action plan. At the BBC, a self-measuring program called 50/50 aims to bring the number of expert voices in programming to half by April 2019. This fall, the Financial Times launched a gender bot to ensure that women were equally quoted in stories. These are great, but I predict that as this momentum continues, diversity will be recognized as the canary in the coal mine of a leadership culture that could use a more general overhaul. Cracks in the hitherto impenetrable Chinese wall between editorial and business make me hopeful that this leadership evolution will take place in news as it has in business. Lucy Kueng from the Reuters Institute for the study of Journalism at Oxford has collected insights from dozens of publishers who are embracing a more level-headed, business-savvy approach to innovation, for example. Julie Posetti’s new report confirms that persuing shiny new things is no longer a viable approach. One manifestation of this shift: regular town halls at The Economist, where editors communicate with journalists about the business models behind new projects. That used to be unthinkable, but as advertisers have left the building, it’s become possible to have these conversations without endangering the integrity of the newsroom. This change in news attitudes towards business is supported by programs like the Media Management Accelerator, an online management training course designed by WAN-IFRA, with the support of Google DNI. There has been a flood of understanding that business and business management know-how need urgent downloading into news publishing. Moving forward — as the dust from the mad innovation scramble of the past few years begins to settle and as publishers dig in to crunch the numbers in more sophisticated ways — they may notice a difference in the people around them. Today, the people bringing change to news organizations and working in newsrooms are fewer in number, more tired, and much less hopeful. Learning to better value, motivate, support, and grow their skills is the name of the game for 2019. Thankfully, our industry is full of incredibly smart people driven by a built-in sense of purpose. I have no doubt that news orgs steep digital transformation learning curve will continue in 2019 and lead to this more intense leadership focus on people. Imagine the difference between a newsroom of today and one where leadership has learned how to overcome bias, conduct difficult conversations, diagnose and prevent burnout, build alliances within the organization, and create spaces for learning, experimentation, and growth. It’s been said that there’s no silver bullet that will guarantee a sustainable future for the news. But I don’t see why our business should need a special recipe. Every company now needs to be fluent in technology and based on solid business models, and so do ours. Going by that logic, since the concept of good leadership has also evolved far away from what is in place in many traditional newsrooms, we need to explore an upgrade in this field as well. If top-performing companies in other industries have leaders who embrace self-reflection, flatten power structures, and build a culture that empowers talent from all levels of the organization, why wouldn’t news organizations follow suit? 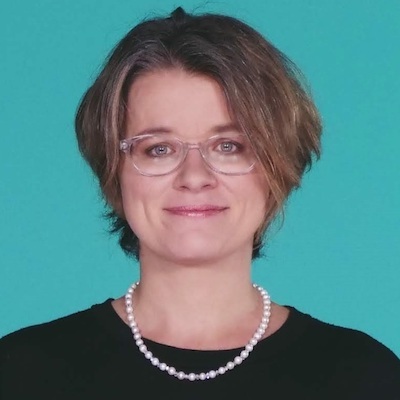 Zuzanna Ziomecka is editor of NewsMavens. Jan. 2, 2019, 11:56 a.m.